Goin' to a Party! Meet me on after School! The Commercial Space Blog is closing down for the summer, mostly because much of the rest of Canada seems to have already done so. The sole official exception to this seems to be the Canadian Space Agency (CSA) which has been promising a new set of requests for proposals sometime over the summer months. Until they're released, I think I'm going to a party. For those who'd prefer not to leave their comfy cubicle for adventure but still need an ongoing dose of Canadian space focused news and commentary, I'll be writing an ongoing column for Spaceref.ca under the title "This Week in Space for Canada," once a week throughout the summer. If you need more, I'd recommend pretty much anything from Marc Boucher, Keith Cowling and their associates over at both Spaceref.ca and the US based Spaceref.com. I'd also recommend checking out Elizabeth Howell's work over on the PARS3C blog, EVA Interviews: The business of the new space age, the Space Politics blog which focuses on US space policy and any of the other links you might see in the two columns on the right side of this page. 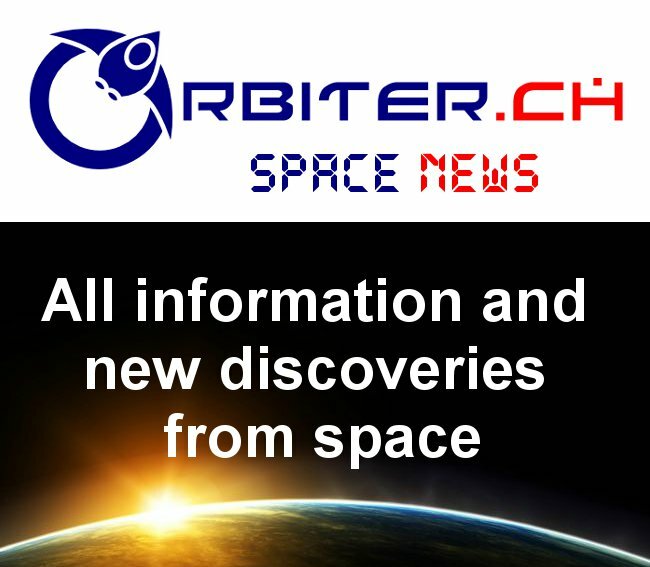 Hopefully these links will keep everyone occupied, informed and aware until Commercial Space returns with all new stories beginning September 7th. MacDonald, Dettwiler and Associates Ltd. (MDA) could soon be using their satellites to check out the Roman Coliseum and other top Italian tourist spots, at least if you take the June 24th, 2010 Canadian News Wire (CNW) press release "MDA to provide a RADARSAT-2 ground information solution"at face value. 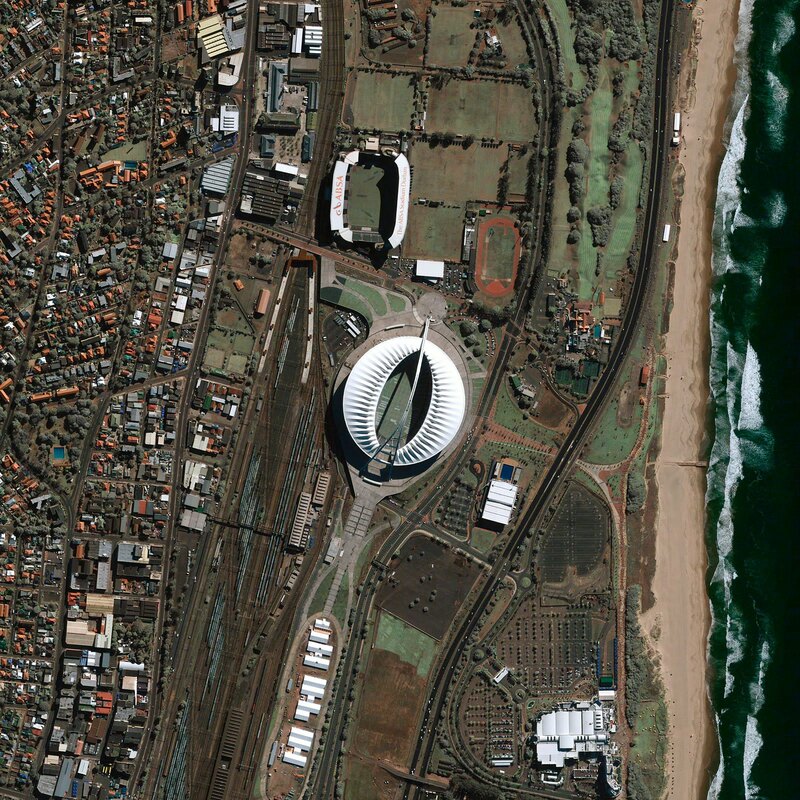 "signed a multi-million dollar contract with e-GEOS, a leading provider of satellite services in Europe to provide a RADARSAT ground information solution into their existing ground station in Matera, Italy. The solution includes a RADARSAT-2 and RADARSAT-1 reception and processing capability and grants RADARSAT data distribution rights to e-GEOS for the European Union in support of a variety of maritime and land surveillance applications." 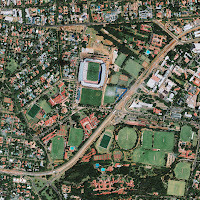 According to the e-GEOS website, the company (a partnership between the Italian Space Agency and Italian based space services firm Telespazio) is a leading international player in the geo-spatial business, offering products and services related to Earth observation and geomatics using optic and radar satellites plus aerial surveys. Sample images on the e-GEOS website include e-GEOS (COSMO-SkyMed), GeoEye (GeoEye-1 and IKONOS) and DigitalGlobe (WorldView-2 and QuickBird) images of South African stadiums used for the 2010 World Cup and recent COSMO-SkyMed images of the Gulf of Mexico which show black oil slick closing in on the Louisiana coast. The MDA sale comes hot on the heels of a recent Euroconsult report titled "Earth Observation: Defense and Security, World Prospects to 2019" which predicts government procurement of commercial satellite Earth observation data will reach $2.6 billion by 2019, up from only $735 million in 2009. RADARSAT-1 is Canada's first commercial Earth observation satellite. RADARSAT-2 is Canada's next-generation commercial Earth observation satellite and the follow-on to RADARSAT-1. Eva-Jane Lark, a BMO Nesbitt Burns VP and investment adviser, space advocate and author of EVA Interviews: The Business of the new Space Age™ sent me an e-mail last week referencing a recent interview I did with Elizabeth Howell over on the Pars3c web blog under the title "High Five: Chuck Black, Canadian Space Commerce Association." In the article, I stated that the original idea of funding space focused Canadian companies though an extension of the tax credits presently provided to the Canadian mining industry came from John Chapman, a retired mining executive and three Macdonald Dettwiler and Associates (MDA) employees who first presented a paper on the topic at the 2008 Canadian Space Summit. Eva politely mentioned that she has also written about tax credits and the use of flow through shares to fund space focused activities as far back as 2005. Her article “Investment Financing of Exploration to New Worlds” gives some overall context of the issues involved and a paper she presented at the 2006 International Space Development Conference titled Investment Financing of Exploration to New Worlds: Historical Investment Financing of Exploration for New Worlds, Current Analogies to Other Industries, and Ideas for the Future specifically discussed mining industry analogues beginning on page eight. I think this was her way of reminding me that the idea has a surprisingly broad genesis going back several years in Canada and even possesses US based advocates like Burke Forte, Director of the 8th Continent Project (an organization affiliated with the Colorado School of Mines) and quite a few others. So what is this idea all about anyway? To begin with, the modern intersection of mining and space activities goes back to 1972 and a soil sample retrieved by the Apollo 17 astronauts containing helium-3, a lightweight isotope of helium suitable for fueling atomic reactors, at least it does according to "Mining the Moon" an article published in the December 7th, 2004 edition of Popular Mechanics. According to the article, the "vast stores" of this "nonpolluting nuclear fuel" are the key to our technological future and also a great way to make lots and lots of money once a whole bunch of intermediary technological, financial and market difficulties have successfully been dealt with. But details are for accountants and not many accountants ever became space advocates so the extraterrestrial mining of exotic resources slowly became one of those things brought up (along with space based solar power and space tourism) when advocates wanted to give unsupported, "pie in the sky" examples of the enormous commercial potential awaiting those brave or foolish enough to invest in the high frontier. 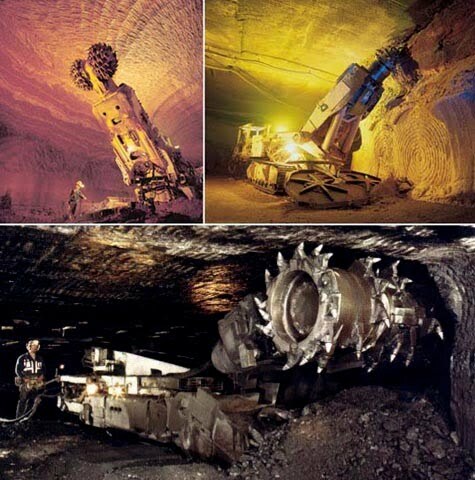 But after awhile, even the mining companies jumped on the bandwagon and began to point out that the same tools used to scrape minerals off the ocean floor or dig deep into the bowels of the Earth are also suitable, with appropriate modifications, for mining pretty much anywhere, even on the Moon or in the asteroids. 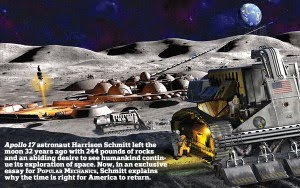 Of course, they weren't initially terribly serious about the idea, although it did turn out to be a good way to obtain grants to fund R&D activities and gain publicity with articles like this 2007 Universe Today post "Heavy Construction on the Moon" which promotes Caterpillar Inc. the worlds leading manufacturer of construction and mining equipment. 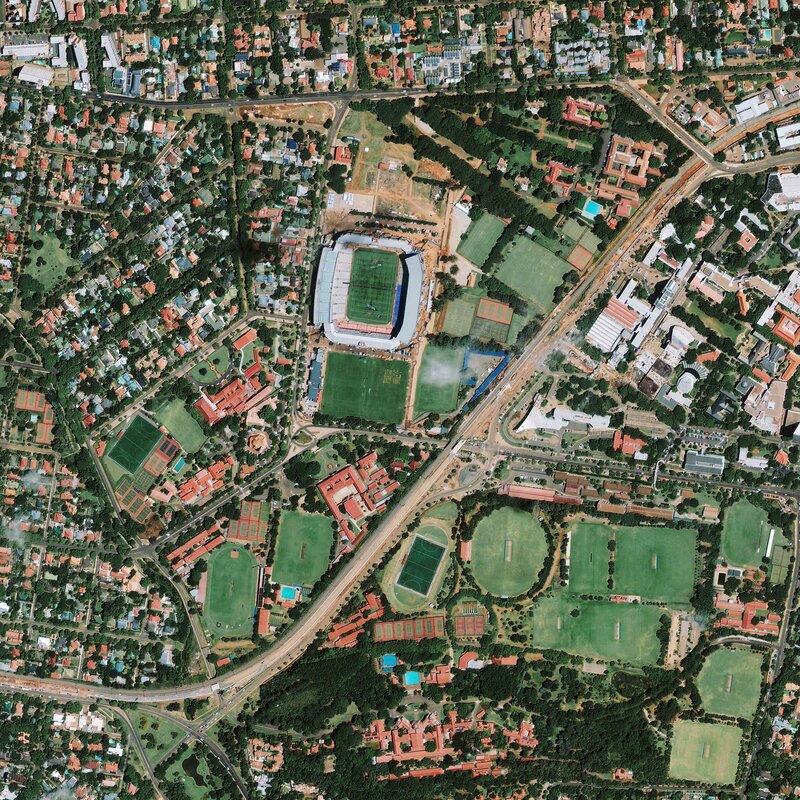 But over time, mining and resource companies started coming into more direct contact with space based activities through their use of earth imaging satellites and technology to assist with resource location and development activities. Eventually all this cross-pollination and idea exchanging got the space gurus and the mining geniuses talking about commonalities and several concluded that the industries are quite similar, with both being highly speculative and requiring large amounts of money up-front for a potential return on investment that could take decades to materialize. But since mining companies often depend on tax credits to fund their activities, they also normally have quite a few accountants on the payroll and some of the brighter accountants started thinking that there was essentially no real reason why space focused companies can't use the same tax credits that mining companies use to raise money, just so long as mining eventually occurs somewhere. Even if that somewhere eventually ends up being in space. After all, the costs for deep water mining and resource collection are the same order of magnitude as space focused activities these days. Plus, space based resource collection also has less terrestrial economic and ecological consequences should something break (and pretty much any British Petroleum public relations person should be able to provide some background in that area right now). I finally came across the idea in 2008 when retired mining executive, John Chapman and several people working for Canadian space focused firm Macdonald Dettwiler and Associates presented a paper on the topic at the 2008 Canadian Space Summit. "Financing of space research, exploration and development in the past has been done mainly by governments. To create a vibrant and sustainable space program, the private sector needs to be aggressively involved, building upon the foundation established mainly by the USA and Soviet Union governments. There is an analog that could point the way to rapidly opening space to private enterprise - that is the (existing) Canadian flow through tax incentive for mineral exploration. The flow through tax credit program in Canada has facilitated the raising of billions of dollars annually for mineral exploration companies, mainly by wealthy individuals, and this has kept Canada in the forefront of mineral exploration and mine development." According to the authors, the conquest of space is no longer rocket science. It's all about the tax code and accounting. Raising money is simply a question of extending the tax code provisions already in use by the Canadian mining industry to cover space focused activities. Of course, this idea has essentially dropped off the face of the Earth since the presentation in 2008, but now might be a good time to revisit it since Canadian Space Agency (CSA) President Steve MacLean recently indicated that Canada needs $2 billion over five years in order to "put us at the table" according to the article "Bill to push Canada in space to top $2B: MacLean" from the PARS3C web blog. $2 Billion over five years seems like a pretty small amount compared to what the Canadian mining industry can raise. Perhaps the Canadian space industry should take note. Besides, no one is going to fund anything off the Gulf coast for the next little while and the money might just as well go somewhere useful. According to his biography on the Kim Geomatics corporate website, Robert (Bob) Ryerson is not just the firms president and founder. He's a former Director General in the Government of Canada, a past Chair of the Canadian Remote Sensing Society (now part of the Canadian Astronautics and Space Institute) and a former member of the Board of Directors of the American Society for Photogrammetry and Remote Sensing (ASPRS). He's also a writer, having contributed to the Manual of Remote Sensing as an author/editor of the 2nd edition and editor in chief of the first three volumes of the 3rd edition. He currently sits on the Board of Directors of the Geomatics Industry Association of Canada (GIAC). All of which makes Ryerson both a busy person and an acknowledged expert in something called geomatics, which Wikipedia describes as the discipline of gathering, storing, processing, and delivering geographic or spatially referenced information. 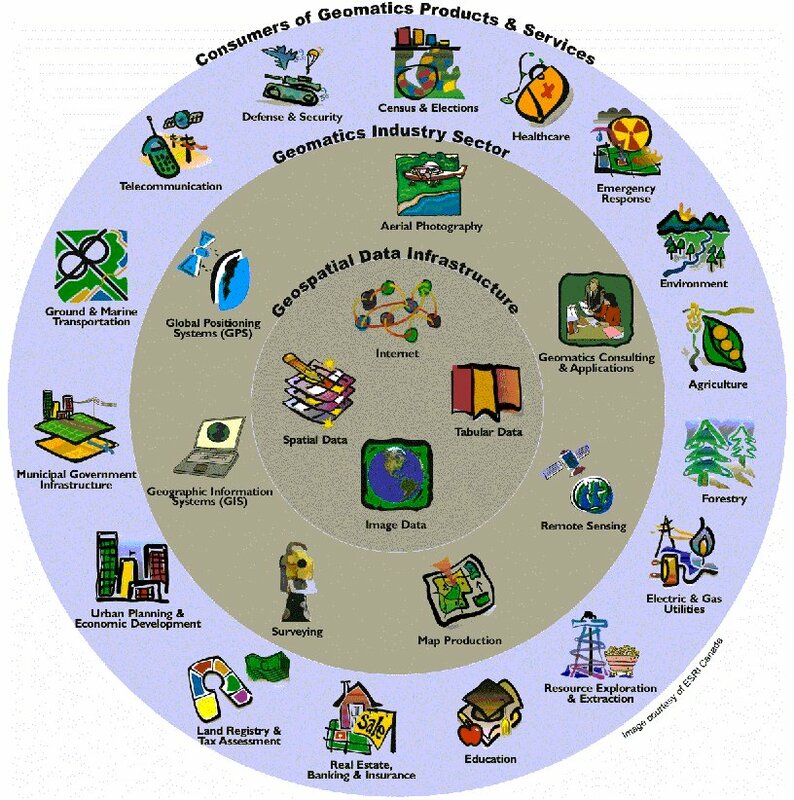 Geomatics is essentially an interesting "mashup" of surveying and cartography with additional components relating to geodesy, hydrography, photogrammetry and remote sensing mixed in and with everything wrapped up around the latest orbital imaging and data tracking technology. Of course, it's also one of those new and innovative technologies that Ontario Premier Dalton McGuinty is promoting on trade trips throughout the world, as per this recent OMNI News report which highlighted Canadian geomatics focused company PCI Geomatics. PCI Geomatics featured on OMNI News from pcigeomatics on Vimeo. Geomatics has been one of the fastest-growing technology sectors in recent years, and Canada is at its forefront. Canada's geomatics community is a recognized world leader in providing the software, hardware, value-added services and knowledge that help clients address challenges and opportunities in such areas as the environment, health care, land management and reform, development planning, infrastructure management, natural resource monitoring, weather reporting, education and school curriculum, recreational industries, sustainable development, and coastal zone management and mapping. All of which gives quite a bit of scope for developing new business applications. As for Ryerson, he's an acknowledged expert in this emerging field so it's only natural that his next book (co-authored with Kim Geomatics Senior Associate Stan Aronof) takes advantage of this expertise. 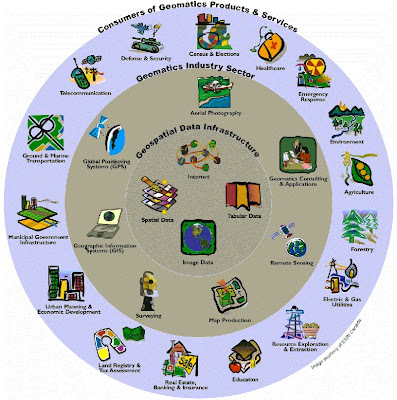 This book identifies the key geospatial technologies you need to know, what they can do, and how individuals, business, and government will profit from them as they increasingly power our future economic well-being. It closes with advice on how these technologies can be applied to the benefit of the reader, no matter who – or where – that reader may be. It sounds like an interesting read so I'll definitely be picking up a copy when it becomes available through the Kim Geomatics Corporation, Box 1125, Manotick, Ontario, Canada, K4M-1A9 in September 2010. But for those of you who don't want to wait until September, the 2010 Canadian Geomatics Conference is in Calgary, Alberta from June 15th - 18th and will focus on "the abundant yet largely untapped potential of Intelligent Mapping and the critical role Geomatics can play in bolstering Canada’s productivity, innovation, global competitiveness and overall socio-economic well-being." COMDEV Stock Down: Long Term Space Plan Blamed! COMDEV International, one of the "three kings" of Canadian commercial space activities has certainly had a bad last couple of months, if you believe the business publications. The June 11th, 2010 CanadianBusiness.com blog stated "Com Dev stock down sharply on disappointing earnings report" while the Wall Street Journal reported on the same day that "Com Dev Reports Third Straight Disappointing Quarter" and Reuters Canada reported that "Com Dev shares hit 52-week low." Our commercial products business, which now generates over 60% of revenues, continues to perform very well. The funding of Radarsat Constellation in the recent federal budget could lead to over $80 million of revenues for us over a five year period, but it might also result in deferring the start of the next significant optics program. An important priority for us is to secure optics work for our COMDEV Canada division to replace the James Webb Space Telescope program which is nearing completion. The Canadian Space Agency’s proposed Long-Term Space Plan prioritizes a number of programs that would most likely involve a role for COMDEV, but the Plan has not yet been funded. We are pursuing all possible avenues to win new orders for the division. These articles follow close on the heels of CSA astronaut Julie Payette's June 9th comments at the Greater Victoria Chamber of Commerce where she is quoted on "the importance of funding for a Canadian space program" according to the post "Canadian Astronaut Speaks to the GVCC" on the C-FAX 1070 News website. 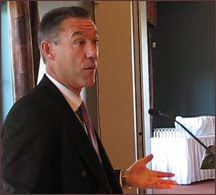 On May 11th, 2010 while speaking before the House of Commons Standing Committee on Industry, Science and Technology (INDU), CSA President Steve MacLean stated that the CSA likely needed an additional $2 billion over five years in order to "drive innovation." Iridium Satellite Communications, the satellite phone company that went belly-up soon after going live, filing for Chapter 11 Bankruptcy in 1999 has just completed a stunning turn around by ordering 81 spacecraft to upgrade its global network according to the June 2nd, 2010 BBC News article "Huge order for Iridium spacecraft." Thales Alenia Space (TAS) of France will build the satellites - 66 to form the operational constellation, the remainder to act as spares. The order makes the Iridium Next venture the biggest commercial space project in the world today.. The overall cost of the project, dubbed Iridium Next is likely to be about $2.9 billion USD, much of which the company expects to finance out of its own cash flow. Based in McLean, Virginia, with about 360,000 subscribers worldwide, Iridium has earning revenues amounting to hundreds of millions of dollars with just under a quarter of those revenues deriving from US government and Department of Defense contracts. But all that ongoing domestic revenue makes it even more surprising that TAS has beaten out Lockheed Martin for the contract. According to the follow-up June 3rd, 2010 BBC News article "The magic touch of French satellite finance" the secret has to do with the role played by the Compagnie Francaise d'Assurance pour le Commerce Exterieur (Coface) which "underwrites risk and has been particularly active in supporting the French satellite manufacturing sector." Its (the Coface) commitment to projects like Iridium Next allows those projects to secure loans at very favourable rates. In what are tough economic times, Coface support has facilitated ventures that might otherwise not have been able to get financing. Coface is also underwriting another deal for TAS to build satellites for Iridium competitor Globalstar, which operates 48 spacecraft in a slightly higher orbit and will see its first next-generation spacecraft launch later this year. Canadian banks and Canadian politicians looking to grow Canadian space focused business might want to take close note of this interesting turn of events. Revisiting "NASA as the Next General Motors and What That Means for Canada"
Problems denied and solutions delayed will result in a painful and costly day of reckoning. Of course, the day of reckoning eventually did arrive. The Jobs Bank is now gone (as part of the deal to help GM, Ford and Chrysler secure bailout funds), the Saturn brand will be phased out in 2011 and Saab was recently sold to the Dutch automobile manufacturer Spyker. GM is a much smaller company today and what's good for General Motors is no longer necessarily good for the USA and "vice versa," as was once said by Charles Edwin Wilson, the US secretary of Defense under Dwight D. Eisenhower. So what does this have to do with my August 27, 2009 post on "NASA as the Next General Motors and What That Means for Canada" where I compared the General Motors of 2007 with the NASA of 2009? That's easy. The National Aeronautics and Space Administration (NASA) isn't formally bankrupt yet but their time of reckoning is coming. We likely have another year or two before the final crunch occurs and this is much like the GM of the 2007 - 2008 period. Of course, we're not talking about a private corporation so what happened at GM can't happen in the same way at the US space agency. It's even possible that the process will move forward as the Obama administration expects and the US president outlined in his April 15th, 2010 speech from the Kennedy Space Center. But no matter what, NASA employees and their subcontractors will need to develop new skills, associations and capabilities to survive or else risk slipping into the ranks of the unemployed as the old NASA becomes the new. These changes are driven by the funding crises within NASA. 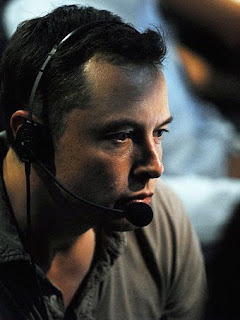 As outlined in the 2009 NASA Review of US Human Space Flight Plans Committee Final Report, existing plans to fund the Ares/ Constellation program and explore the Moon and Mars are financially "unsustainable" for NASA in much the same way that GM's fiscal structure and employee commitments were described as being "ridiculous and unsustainable" by Paul Ingrassia. The first change is represented by the launch yesterday of the Space-X designed and built Falcon-9 rocket, videotaped below from the roof of the Vehicle Assembly Building at the Kennedy Space Center as it lifted off from nearby Cape Canaveral. This represents the opening of NASA to new and non-traditional space focused companies with less infrastructure to maintain and younger, perhaps more innovative employees. These "newspace" firms are in stark contrast to the gigantic "legacy" manufacturing and research facilities (plus their associated jobs which are generally held by people well into their 40's, 50's and 60's) that have typically grown up around NASA contractors over the last five decades. 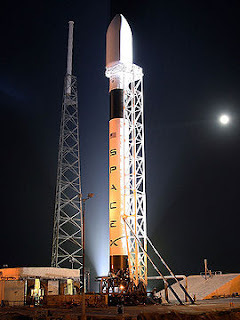 Of course, the "legacy" companies and their political representatives aren't likely to take kindly to the emergence of "newspace" firms as demonstrated by the June 4th post "Congressional Reaction to the Falcon 9 Launch" from the Space Politics blog. But there is no longer any money to pay the costs associated with legacy companies so these larger firms will eventually lose their budget battle. The second change is likely to be an increase in international cooperation which is the logical outgrowth of the fact that the US no longer possesses sufficient capital to create gigantic "cost is no object" space focused projects independently, as was done in the 1960's during the Apollo era. But the problem with international cooperation is the potential for two way sharing of knowledge. This could encourage some international space focused organization with lower legacy operating costs to figure out how to run an entire space program on their own more effectively and for less money than the US. There are obvious parallels here with the way that Toyota, Hyundai and a whole bunch of other car makers slowly developed methods to compete effectively with GM and other American firms. Which brings us to the third change, which is the investments in breakthrough propulsion and other new technologies which are perceived by the American's as the "game changers" needed to keep ahead of other countries who can certainly compete on costs using existing technology, which was mostly developed in the 40's, 50's and 60's. So now we know what's coming down the pipe at NASA. We've got the opening up to new and non-traditional space focused companies, international cooperation and the search for "game changing" breakthrough propulsion and other new technologies. Now that Canadian's know what the US policies are and why they are that way, we're in a better position to take cooperate, contribute and even take advantage of the new NASA. As for GM, they're also doing things a bit differently lately and their recent news is decidedly more upbeat with the May 28th announcement that the company is starting a $100 million USD venture fund and the June 1st announcement from GM Canada that it is investing a further $224 million CDN to build a new line of fuel-efficient transmissions. committed to build new transmissions at GM's St. Catharines, Ont., plant reflects a brighter future for the company and Canadians should "stay tuned" for further announcements, said new company president Kevin Williams. The same thing will happen to NASA after it gets it's house in order. After all, everything new has a beginning.